In terms of lead generation, B2B marketers often overlook the potential of the world’s largest social network, Facebook. Most favor LinkedIn because it’s a professional network, but Facebook’s massive amount of data (both personal and professional) makes it the ultimate resource for persona-based lead generation in social. And the best way to use the site? Promoting your lead-generating content. Using Facebook’s ad manager with a $500/month budget, we were able to generate hundreds of leads, many of whom were highly qualified. In January we managed to capture 143 leads for with that $500, making our cost per lead from Facebook $3.50. In ad manager, you can target people based on “Precise Interests” (anything they’ve listed on their personal timeline) such as a professional organization or job title. This data is exactly what differentiates post promotion from other online advertising opportunities: Facebook’s advertising is persona-based, which is more important for B2B marketers than keywords alone. Beyond using post promotions, you need to create new ebooks, white papers, guides and other educational content that’s worth a conversion. The content you’re promoting is really what drive those qualified leads to your website. The best results have come when we switch out the promoted post every few weeks, giving Facebook users new opportunities to become leads. 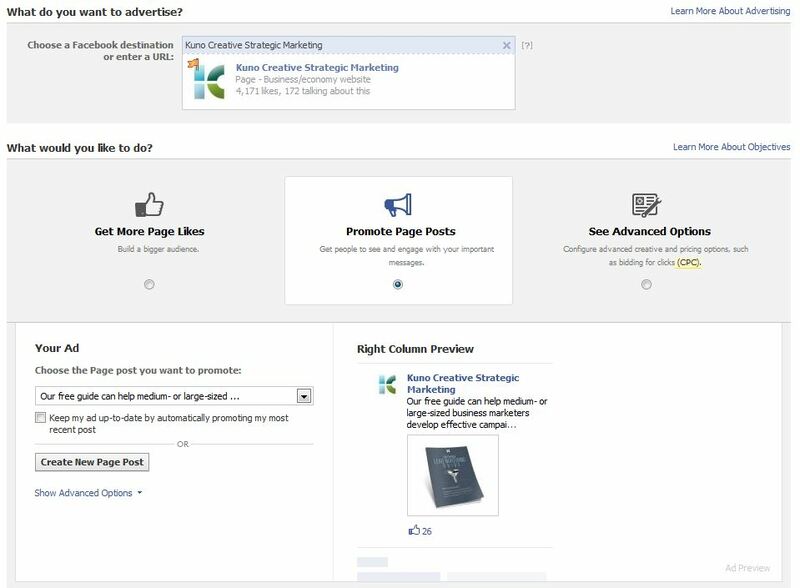 Plus, with additional data mining you can also find out what type of content is right for which “Precise Interest” so you can better target your promotions. In order to truly demonstrate social media ROI, especially for B2B companies, you need to consistently generate high-quality content. You can’t expect the results above if you’re only promoting brochures or even contests. Sophisticated B2B buyers are looking for information that will help them solve a problem, even if they might not know they have one yet. A good mix of photos, blog posts and educational content for lead generation is what you need to make your social media efforts—and post promotions—really successful.